Having completed the big ultras I’d signed up for this year, my training is starting to trail off a bit so I thought it would be a good time to revisit park running and see how my 5k time was doing. 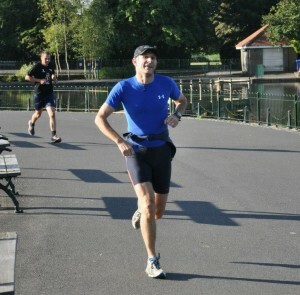 Parkruns are essentially a weekly collection of free 5k race that take place around the UK and now the world. You simply register yourself as a runner, print your barcode and then turn up and run. Your time and position is then recorded and emailed to you along with some stats on your performance. 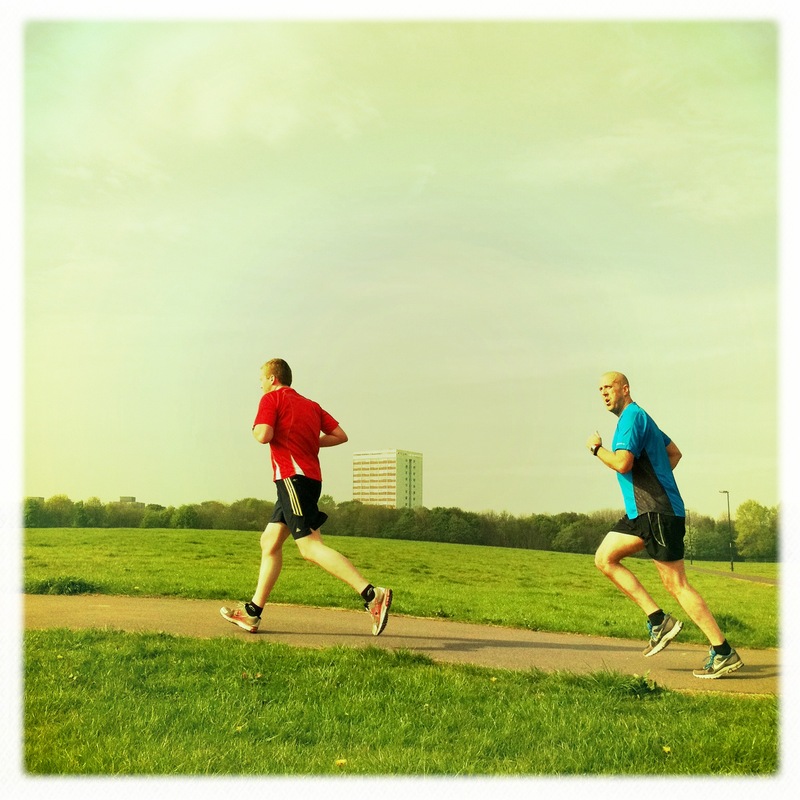 Founded by Paul Sinton-Hewitt in 2004, the idea of parkrun grew from the initial Bushy parkrun event (originally called Bushy Park Time Trial) into a small collection of events called the UK Time Trials and then into parkrun. I ran my first Parkrun back in April 2010, at that time Newcastle was one of the only Park run locations in the North East. There are now Parkruns in Gateshead, Durham, Blackhill | Consett , Sunderland, Whitley Bay and South Shields. At least 3 of these are within an easy drive of my house, so I decided that if I was going to give Parkrun another go I should check out some of these new locations. My good friends Ian Younger and David Best are two of the people behind Run Consett and are also involved in the newly formed Blackhill Park runs, so it seemed appropriate to check out Blackhill Parkrun first. I was pleasantly surprised to find 76 runners at the event, a very decent number given that it was still a very new location, the inaugural running only having taken place 3 only weeks earlier. The location for the event was the ’Blackhill and Consett Heritage Park’ complete with bowling green and band stand. The course is a slightly convoluted (compared to somewhere like Newcastle) consisting of a short start section, followed by 3 laps of the middle section and a short finish section. As you might expect if you know the area at all this is not a flat course, so while it was a great work out the time did not really compare to my 20 minute Newcastle parkrun time. Next up was Gateshead and I was looking forward to catch up with regular Gateshead Parkrunner Shaun Dunlop, who I’d not seen since the Lakeland 100. 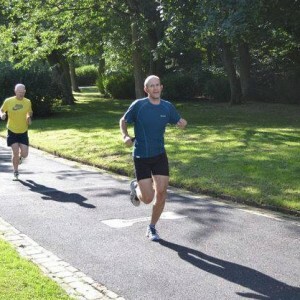 The Gateshead Parkrun takes place in Saltwell Park and has been going since February 2012. Like the Blackhill course the Gateshead Parkrun consisted of a start section, followed by 3 laps of a circuit looping down a hill around the boating lake and bowling green then back up the hill, followed by a flat finish. Not quite as hilly as BlackHill, but still a good work out, and great bunch of people. I was a little surprised by the number of runners from outside of the area running the course for the first time, but it was Great North Run weekend so possibly there were a lot of runners down for that. Parkrunning is obviously going from strength to strength with more locations popping up all the time and greater and greater numbers taking part each week and it was inspiring to see the number of runners wearing white Parkrun 10, red Parkrun 50 and even black Parkrun 100 tops. Having ran a couple of different Parkrun courses now I am struck by how literally they are ‘Park’ Runs and how lucky we are to have so many great parks we have around the Uk to run in. My views on what park running is all about have also changed a little, previously I’d thought of them as a kind of little standard fitness tests that I could do from time to time wherever I happened to be to see how my speed work was doing, however its now apparent that there is nothing standard about them, each is a quite unique and you can’t really compare results from one with another, but they are a great way to get out and meet other runners and have fun especially if like me you are not a club runner. 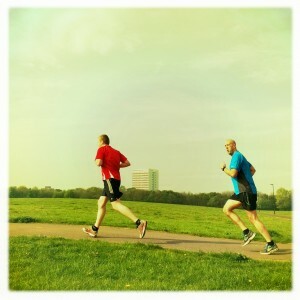 This entry was posted in Uncategorized, motivation, racing, routes, social, training. Bookmark the permalink. Careful, they are addictive I seem to be over 100 now. They are great speedwork for ultrarunners who never seem to do any other fast training. Maybe see you at one of the slightly more southern ones sometime.